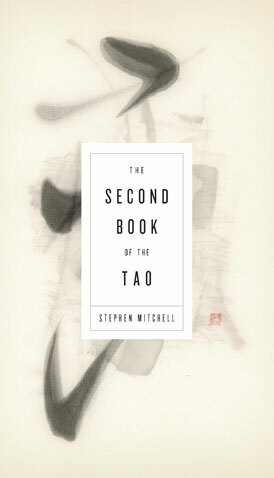 Mmmmm… a day of cloudy wet so a retreat into a tub of hot water with salsa & tortilla chips and a good book about one of my favourite subjects, Stephen Mitchell’s The Second Book of the Tao (Dao, Tao, same thing, same pronunciation: Dao). Hmmmm… the liner notes of this book explain that the most widely translated book in world literature, after the Bible, is Lao Tse‘s Dao de Jing, or Book of the Way, the Chinese classic manual on the art of living. Interesting. I love that book for its gentle, mystical wisdom. I go back to it time and time again, always finding something new. The Chuang-tzu [is] deep, subtle, with an audacity that can make your hair stand on end. If Lao-tzu is a smile, Chuang-tzu is a belly laugh. He’s the clown of the Absolute, the apotheosis of incredulity, Coyote among the Bodhisattvas. And the Chung Yung [provides] a psychological and moral acuity of comparable depth. Mmmmm… a good Monday morning read. And from the very first chapter, I’m not disappointed. In fact, rather than blather on about this book, I’ll just give you a chapter, here and there, from time to time. Yes. And no better place to begin than the beginning. Each chapter is a coupling of a passage from either the Chuang-tzu or the Chung Yung accompanied by Stephen Mitchell’s commentary. is the deepest form of learning. and respects what is unseen and unheard. nothing is more obvious than the unseen. We think that we know what human nature is, but what if our most cherished assumptions are wrong? What if all suffering is the result of confused thoughts? That would change our paradigm a bit. We’re born into the open, into the vast mind empty of meaning. Beyond thought, beyond things, reality just is. Human nature doesn’t need to be fulfilled, nor do we need to cultivate what is already perfect. Once we recognize this, we return to the origin of all things. There is never a movement toward or away. We remain where we have always been, but now we know it, as if for the first time. Departing from the Tao can happen only in the mind; it’s an illusion that becomes our reality. Though we actually live in what is, we think ourselves into what isn’t. Though every apparent detour is the path, we get lost in our imagined wanderings. That’s why, if were interested in freedom, there is nothing sweeter than to cultivate, cultivate: to get down, with trowel and hoe, into the thought-rich soil of the mind. It’s all about paying attention to what is happening within our innermost self, until the unseen, the unquestioned, is as obvious as the seen When the mind is free of its thoughts, it becomes its own fulfillment.